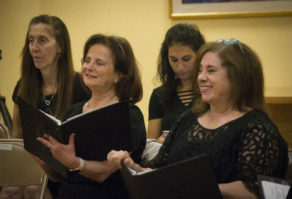 Dozens of members of the Shireinu Choir of Long Island gathered in a classroom at Temple Israel of Great Neck to rehearse songs verse by verse and sometimes even note by note as they prepared for a concert on June 24. Musical director Deborah Tartell, who taught music across various schools, leads the arc of people from behind the piano. She sings with them. She waves a hand above her head. And, as they continue, she offers critiques, encouragement – “good, good, good” – and jokes, which sometimes flood the room with laughter. 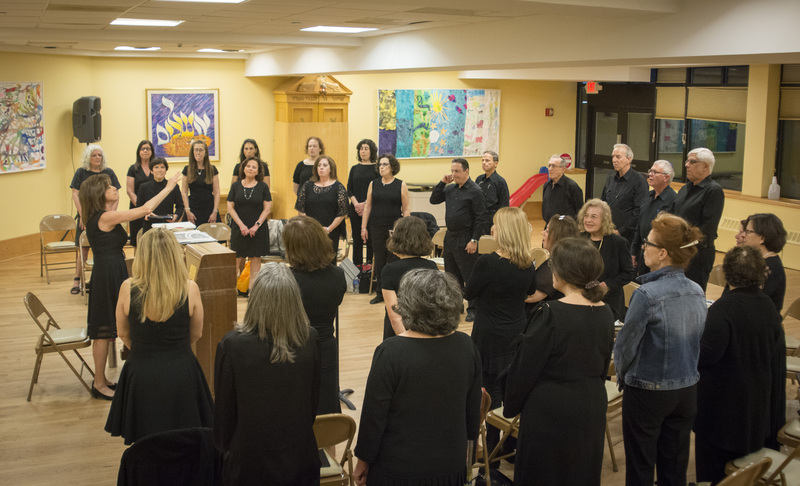 The mixed choir – meaning men and women sing together – has drawn many others, however, swelling to at least 60 people ranging from young working mothers to retirees from Queens, Great Neck, Port Washington and even Jericho since its October inception. Also accompanying them is pianist Gayle Ashkenazy, who studied at the Juilliard School, Eastman School of Music at the University of Rochester and the Frost School of Music at the University of Miami. 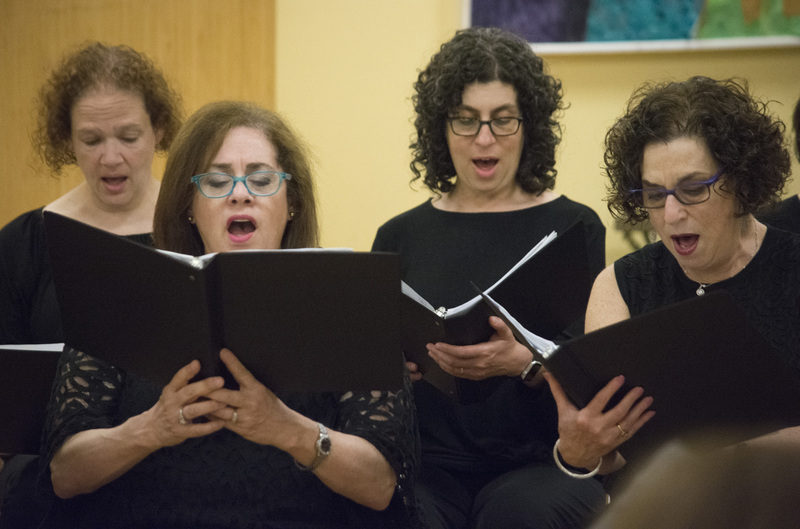 “And we have members that are not Jewish, by the way,” said Ann Hirsh, one of the founders, noting that the Shireinu Choir is nondenominational and welcomes participants from the surrounding areas. “Shireinu” means “our song” in Hebrew. The Shireinu Choir of Long Island’s songs, sung in Hebrew, English, Ladino and Yiddish, range from ancient Jewish choral works to modern composers like Arik Einstein, Irving Berlin and Leonard Bernstein, whose 100th birthday the choir is celebrating at its June 24 concert at Great Neck North High School. 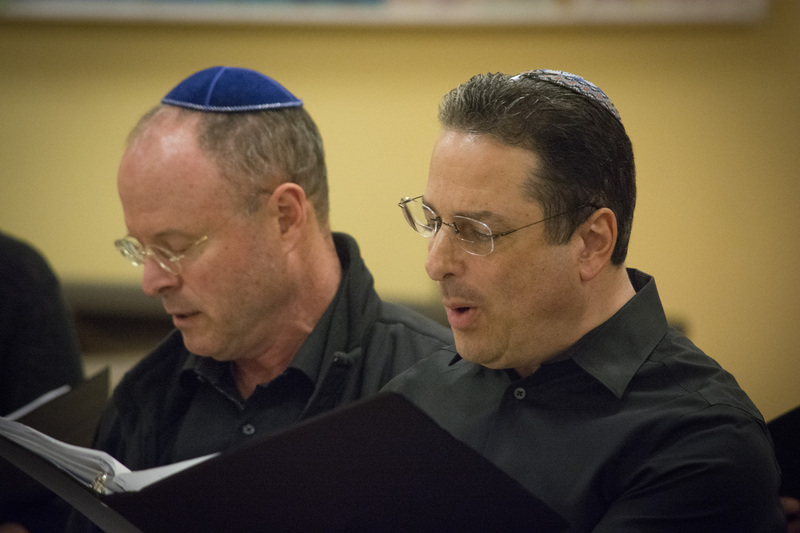 While there were synagogue-based choirs in the surrounding areas, the founders said they wanted to create a mixed choir that could bridge cultural differences, give back to the community and share a special type of music with people. So far the group has sung at St. Paul AME Zion Church in Great Neck for a Martin Luther King Jr. commemoration, the Nassau County Legislature’s celebration of Israel’s 70th anniversary and Temple Israel. 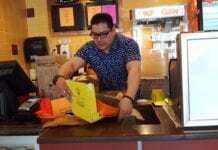 The choir also plans to sing at the Parker Jewish Institute for Health Care and Rehabilitation, Tartell said, as part of its goal to give back to the community. Tartell, Husney and Hirsh said the initial spark for the Shireinu Choir was attending the North American Jewish Choral Festival together last July. It not only added “another dimension to their friendship,” they said, but inspired them to bring something like it back to Great Neck. “And to share it with many other people,” Hirsh added. Tartell said that, ironically, one of the themes of this year’s festival was starting a Jewish community choir. She was then able to attend workshops and get encouragement from the Zamir Choral Foundation, Tartell said. “It just happened to be that was the topic … It was just like the stars came together,” Tartell said. For more information about the Shireinu Choir of Long Island, email info@shireinuchoirli.org.